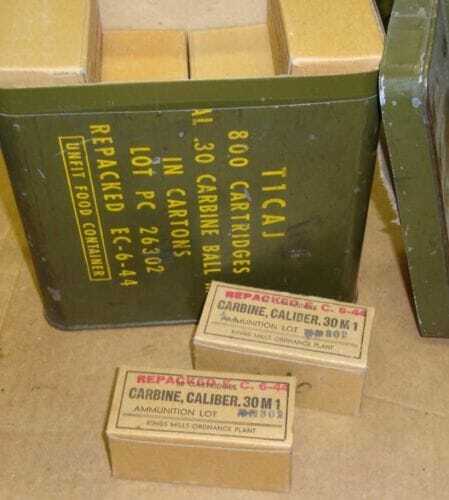 Superb reproduction M-1 Carbine Ammo Boxes. Each order comes with 3 unassembled boxes with instructions. The Peters Cartridge Co. and King Powder Co. were established at Kings Mills, Ohio, north of Cincinnati, in the late 1800s. Peters Cartridge Co. was sold to Remington Arms in 1934. 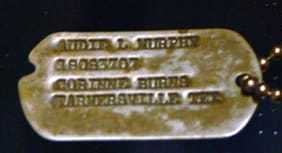 Remington then operated the plant until 1944. 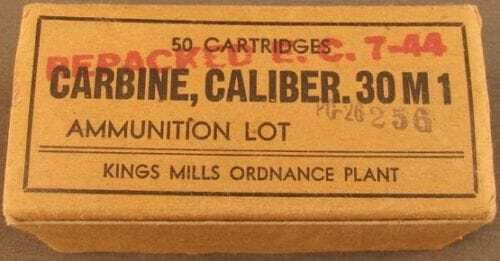 As part of the early wartime ammunition plant expansion, the Ordnance Department added new production facilities to the Kings Mills location in early 1942 for the production of .45 caliber ammunition, as well as shot shells, thus creating the Kings Mills Ordnance Plant. 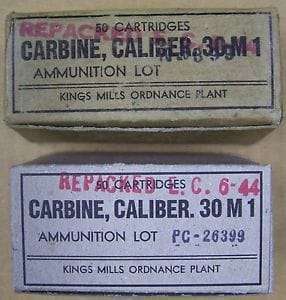 However, changing requirements on the various battle fronts made it necessary for Remington to convert the Peters Cartridge facility over to .30 caliber carbine ammunition production (hence the “PC” headstamp on Kings Mills cartridges). 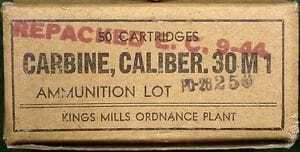 From November 1942 until March 1944, when carbine cartridge production was moved to Bridgeport, Conn., the Kings Mills plant averaged 60,000,000 cartridges per month, exceeded only by the Lake City plant. 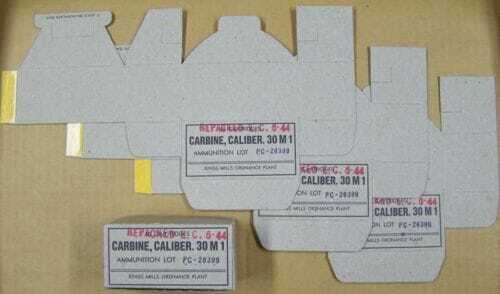 very nice reproductions of original WWII ammo boxes. 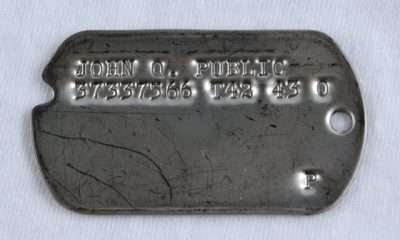 They are complete with stamp “REPACKED E.C. 6-44” which indicates they were packed here in my town of Evansville Indiana at the Chrysler plant (Evansville Chrysler). 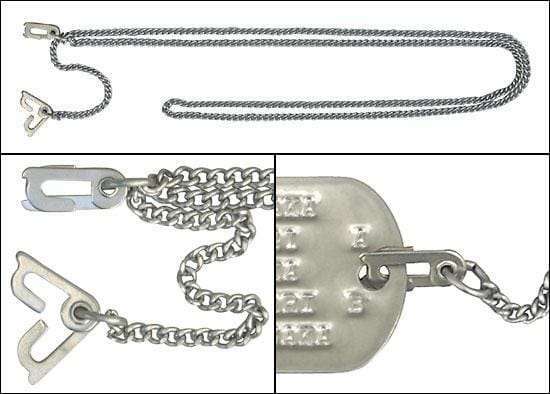 They were shipped quickly and safely packed with instructions on easy assembly.